A high capacity, robust and reliable floor standing water cooler with a built-in double 10" filter housing with adjustable hot and cold temperature controller water dispenser is suited for commercial and industrial use. 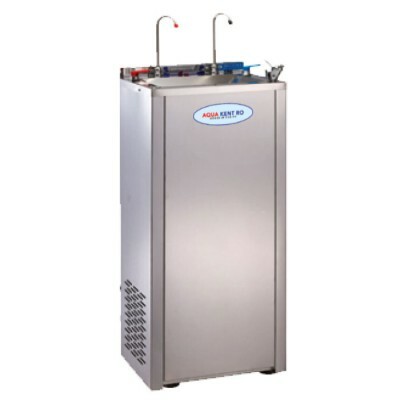 Aqua KENT Fully Stainless Steel Hot and Cold Economy Water Cooler equires drainage point for waste-water. 2 Polypropylene pre-sediment and granular activated carbon filter cartridges.